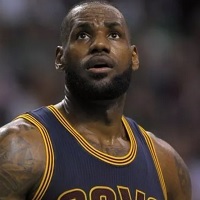 Lebron James who named among the richest basketball players of all times. He made debut in year 2003 after being selected in the draft by the Cleveland Cavaliers. He played for the (Cavaliers) from 2003-2010 during this time period his performance as basketball player improved allot. Lebron got a successful career in Basketball. He won two gold medals in the (London Games 2012 and Beijing Olympics 2008) with USA mens basketball team. During the year 2005, James managed to score (31.4 points per game). In 2010, he signed up with a new Franchise (Miami Heat) where played till 2014. After joining the team of the Miami Heat he become one of the highest paid basketball player in NBA season. Lebron James won two major NBA titles with (Miami Heat) in year 2012,2013 consecutively. In 2017 Forbes announced the list of richest sports personalities Lebron ends up at 2nd place after Cristiano Ronaldo.